Charlene is passionate about helping women and men who are facing life transitions and having to make financial decisions through these changes. Her life experiences of going through a divorce, single parenting, care giving to parents, a second marriage and blending families and now widowhood allows her to empathize and coach others whose life-journey is taking them through similar experiences. 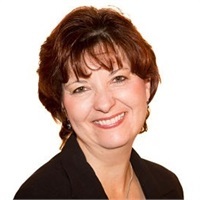 A graduate of Robert Morris University, Charlene has worked in the life insurance and investment industry for 28 years and has been a member of Don’s team for 15 of them. She has background in life insurance and annuities, mutual funds and long term care. She attained the Certified Funds Specialist (CFS) through the Institute of Business and Finance in 1999 and the Chartered Financial Consultant (ChFC) and Chartered Life Underwriter (CLU) from the American College in 2014. She enjoys spending time with family, traveling with friends, and is hoping to get to ride her motorcycle a bit more than she has been when weather permits!